Delivery from £9.00 to United Kingdom in 8 - 15 working days. 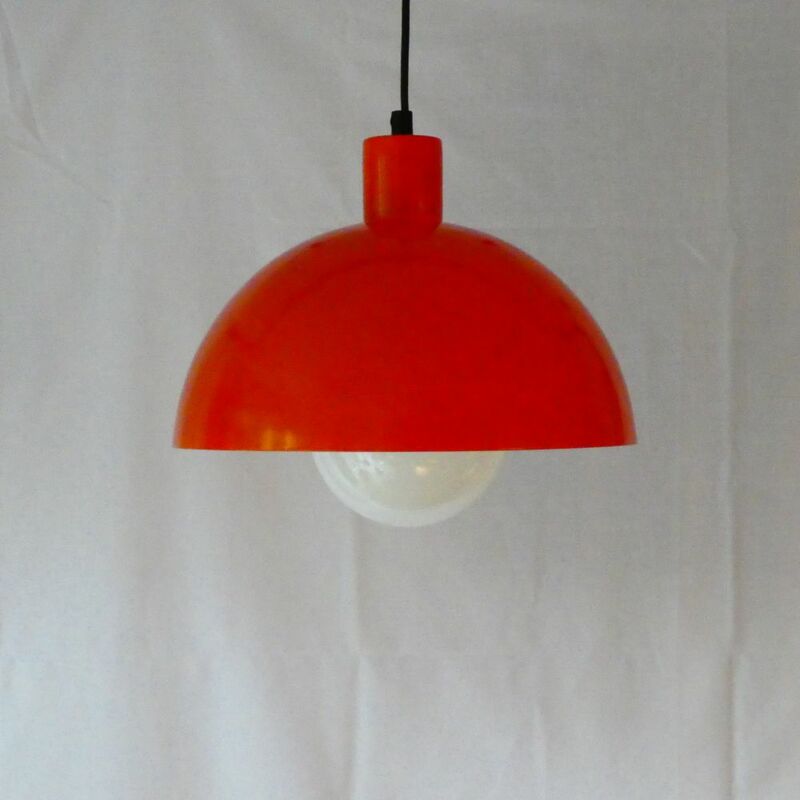 Marianne Pendant is a contemporary dome-shaped pendant with a Bauhaus feel, inspired by lamps made by Marianne Brandt for the Bauhaus school metal workshop. Available in black, grey, white, yellow, green, blue and orange with a white interior. Bulb shown (not included) 125mm diameter LED globe. Made from spun aluminium with a powder-coated finish. John Hollington Design is a small award-winning design studio whose lighting and homeware designs are inspired by the clean lines and geometrical forms of modernist art and architecture.